AdVentures with Buddy Bars | Shafer...Power! Welcome to AdVentures! In this series, we’ll take a closer look at one of our family’s entrepreneurial ventures. In past months, we’ve hosted a taco wagon, a coffee stand and made and sold homemade chocolate bars. 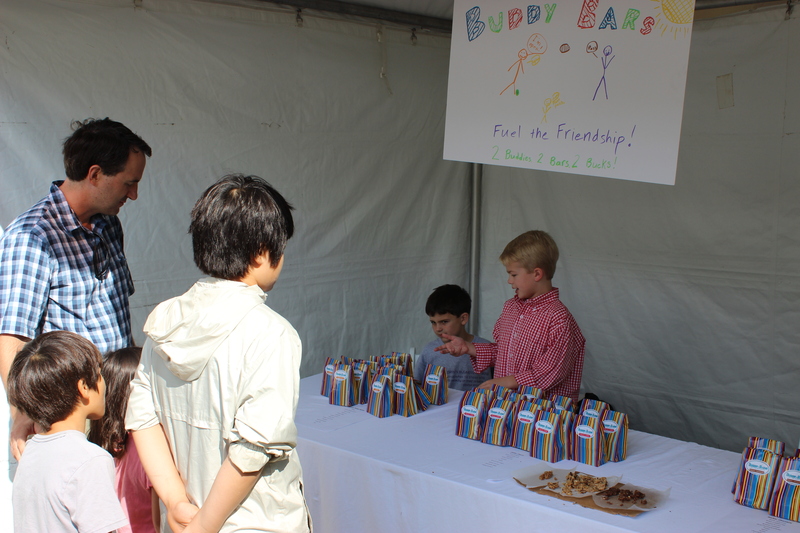 For this event, Owen and his buddy Will created Buddy Bars to participate in the Acton Children’s Business Fair. As with all AdVentures, our goal is to have some fun with the kids and learn more about entrepreneurism. Several months ago our babysitter forwarded us an article about a local school that was hosting a children’s business fair. She knew our family was always dabbling in entrepreneurial activities and had even visited our taco wagon earlier in the year. The fair would be the perfect opportunity for the kids to test a new idea so our decision to participate was a no-brainer. The kids were over-the-moon when they heard about the event, however, the minimum age requirement meant our 5-year-old daughter, Malia, would have to take on a support role as she was not old enough to participate. (This was a non-issue for Malia as mixing food ingredients is one of her favorite things to do.) This meant Owen would have to operate the booth by himself or recruit one of his buddies to be part of the team. He immediately called his buddy Will and had himself a partner. 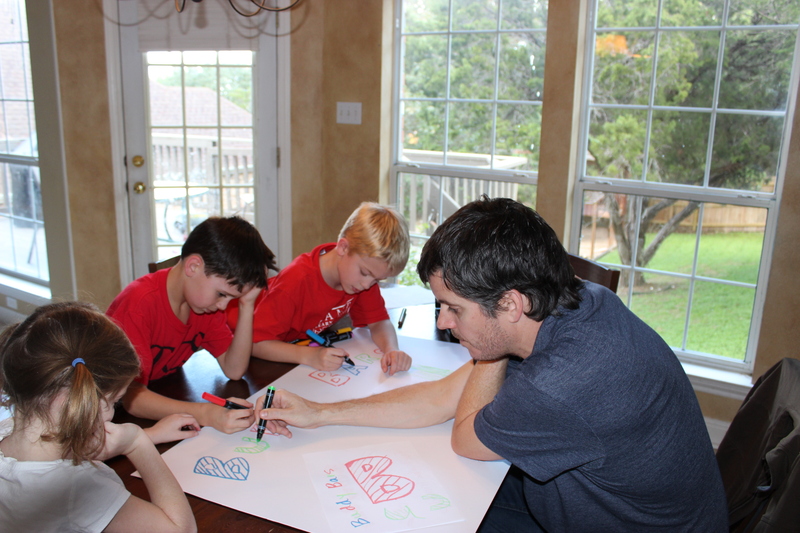 When the boys got together to start collaborating on ideas, I could see the wheels in motion. They discussed a lot of interesting ideas – including a product that involved converting plastic bags to water bottles – before they settled on creating an energy bar for kids. 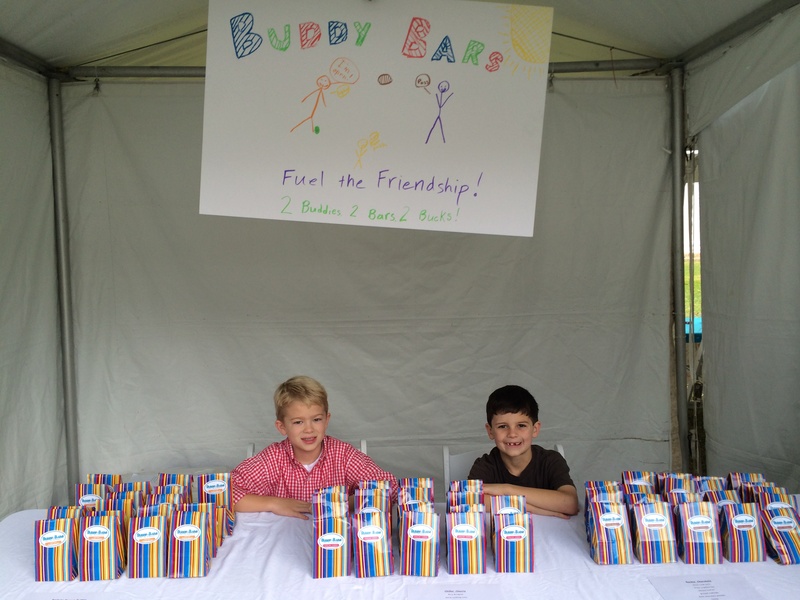 They selected the name Buddy Bars because of their friendship and decided each package would include two bars (one for each buddy). Their tagline “Fuel the Friendship” was the icing on the cake. Over the next several weeks they met to discuss what kind of bars they wanted to make and to make some preparations for the booth. The boys decided on three unique flavors including Rockin’ Chocolate, Chillin’ Cherry and Partyin’ Peanut Butter. We then found a few healthy recipes on the web and made some modifications so we could call them our own. After making several batches of bars – yes, there was plenty of taste testing – we had our final product. We found some colorful bags for packaging and got a little help from a friend in creating a logo and printing out the stickers. 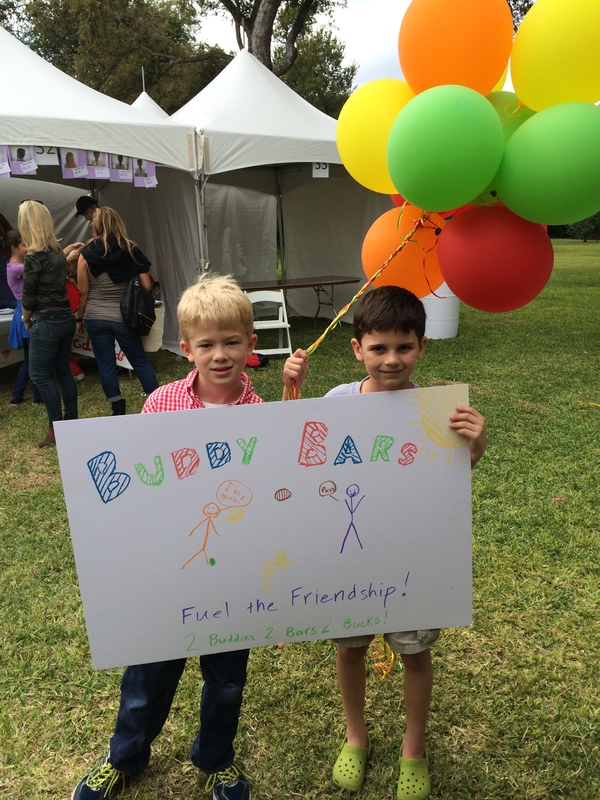 The boys created a sign for their booth and they were ready to roll! There was lots of energy at the fair as there were 130 booths and all participants were between the ages of 6-14. The ideas were all very creative and before it had even started I had purchased some goods from a nearby booth called Candee Bacon. It was truly awesome to see all the young people selling their wares. And many of them were motivated by a social cause and were donating a portion of their proceeds. The boys did a great job selling their bars and learned very quickly the need to “market” their products by calling out to people as they passed their booth. While initially they were quiet when people entered their booth, by the end of the event they were handing out samples and telling everyone about their favorite flavor (Rockin’ Chocolate sold out very quickly). They were both energized by a sale, and equally energized at the prospect of spending some of their hard earned cash at several of the other booths (did I mention Candee Bacon?). Overall, it was an outstanding event. The process of coming up with an idea, making it, packaging the goods and creating a sign for the booth was a tremendous learning experience. Although they did not win any prizes for their idea, they were able to cover their expenses and earn a few spending dollars. As we tore down our booth, I overheard them talking about what they’ll do next year and how it will be even better. And when they discussed what to do with their sign, Will stated “I’ll keep it so we can hang it up in our first store.” Yes! What a great story and this will truly be an experience the boys will never forget. I loved mine- especially because they were Gluten free. Found this blog when I was looking up if I could buy more. Let me know if its possible. Great experience for your boys.